Its been a rocky road for the platforming genre this past generation. Some platforming games like Super Mario Galaxy and Rayman Origins have redefined the way we view the genre and what it is capable of. After three installments of Sly Cooper we now reach Sly Cooper: Thieves in Time, Sly’s fourth adventure. With Sucker Punch Games no longer working on the franchise, Sanzaru Games have taken the reins for Sly Cooper: Thieves in Time and as one could expect the end result is a bit of a mixed bag. It’s not much of a stealth game and it’s not much of a platformer, so what exactly is this game? Well, it’s Sly Cooper. 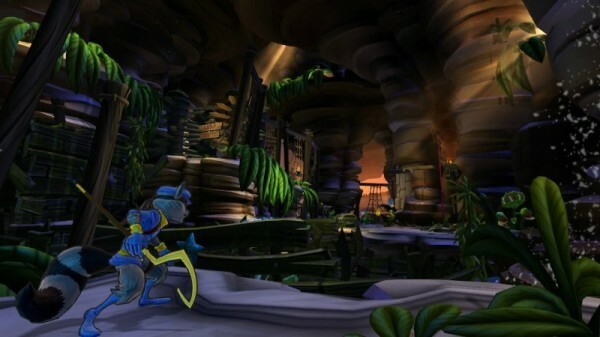 Sly Cooper was never a franchise you’d turn to for a deep and complex story. 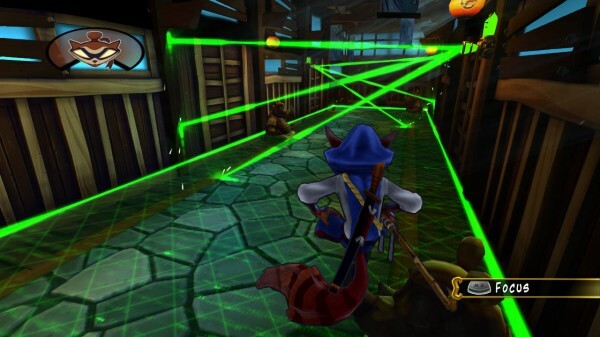 It is no different here with Sly Cooper: Thieves in Time. The game’s plot is as routine as it comes and feels almost torn straight out of a Saturday morning cartoon and not a good one either. It is riddled with bad cliches and Sly’s hokey shtick grows tiresome very quickly. The story revolves primarily around Sly and friends travelling through time to different ‘famous’ locations. It is simple in every sense of the term but the game acts as if it is genius. Sly and friends make for one of the worst casts of characters assembled in a video-game. It is worth noting though that this cast has never been well written beyond simple archetypes, a problem that existed within all Sly Cooper titles. It is safe to say that this is not a game you would be playing for its plot as Sly Cooper: Thieves in Time features one of the most uninspired attempts at narrative in recent memory. If I could describe the game’s story in a word it would be; hackneyed. 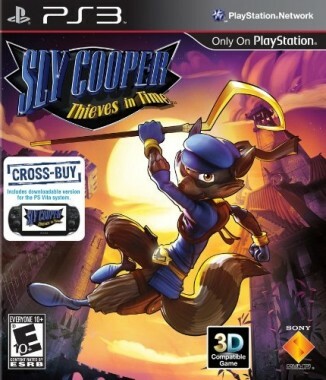 Continuing the trend set by its storytelling, Sly Cooper: Thieves in Time’s gameplay is similarly pedestrian. It plays like your standard platforming adventure – jumping and hitting things – it is all very predictable. The game takes you to a variety of locations, with each location having a number of ‘jobs’ for the player to complete as Sly and friends. This kind of mission based gameplay works well enough for Thieves in Time but it can get repetitive pretty fast due to little variation in mission type. Most missions involve pseudo-stealth gameplay for Sly, which is more often than not either about avoiding going into a spotlight or pickpocketing an enemy for some reason. The stealth aspects here are really not well defined and feel sloppy at best due to some control issues. The control scheme itself is fine, but the problem lies in Sly’s stiff movement and the camera which has a mind of its own. The game regularly fights you over control of the camera, trying to move into a completely different direction to the input you are giving it at any given time. This bundled with the stiff moving characters (Sly is the worst) make it difficult to buy into any sense of urgency behind the stealth portions of the game due to Thieves in Time constantly working against you and not in a good challenging way. 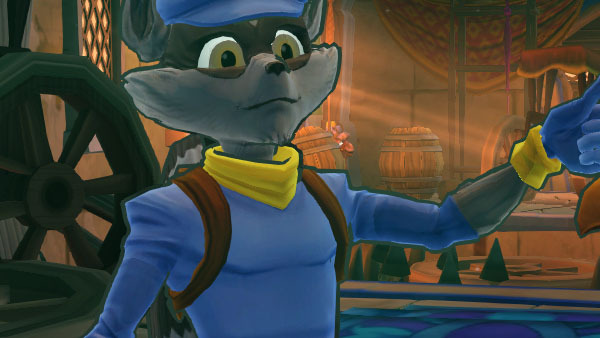 It could be argued that the biggest problem with Sly Cooper: Thieves in Time is that it feels like a cartoon tie-in game that isn’t even actually a tie-in. It carries about the same amount of polish and is about as fun as you’d expect from a quick cash crab tie-in game. It should be said however that the game does have its moments and if you can overlook the issues with the game, there is some fun that can be had. The game’s plethora of settings are well defined and a treat to explore for the most part. The gadgets are a nice feature and are pretty fun to use and play around with. There is also a surprising level of detail put into some of the little things, with a particular emphasis on the hub world where there are more than a few things to find yourself side-tracked with. Thieves in Time does features the always welcome Cross-Save and Cross-Play features that are of course great for those who own both a PlayStation 3 and PlayStation Vita as it allows you to download a free version of the game on the corresponding console as well as play your save between each console. It is a neat feature without a doubt. While this game is primarily a single player experience there are multiplayer portions (local multiplayer only) which are well done but mostly inconsequential. There is definitely a lot of care put into getting the most of a single player experience, but there are still some issues which unfortunately bog this otherwise decent game down. Aesthetically Sly Cooper: Thieves in Time doesn’t break any new ground but it’s dark cell-shaded visuals work a real treat. It goes a long way to building the game’s camp atmosphere, but it still struggles to look anything more than a Saturday morning cartoon tie-in game at times. The wacky yet benign visual experience on show here is certainly not for everyone and despite its decent composition does not leave any real lasting impression. The game’s soundtrack is likewise forgettable albeit suitable to the style and atmosphere conveyed in Thieves in Time. Like the majority of the other facets of this game its music is weak and the voice acting is incredibly grating due to laughable over-acting and some questionable casting decisions. It really is in line with the rest of the game, decent but with some pretty glaring issues. 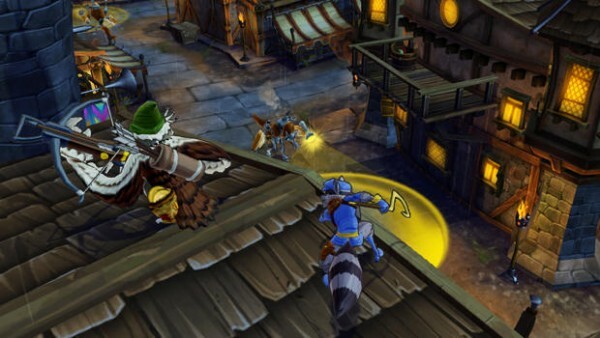 While it is expected of a new developer taking on a pre-existing IP such as Sly Cooper that they may have trouble finding their feet, Sanzaru Games have done an admirable job at replicating the spirit of previous Sly Cooper titles with Sly Cooper: Thieves in Time. The problem however is that it does little to set itself apart – it’s just another Sly Cooper game. It is neither a good game or a bad game, it simply exists. Which is a shame because the Sly Cooper franchise does have potential in it – a potential that no game in the series has managed to fully tap into. Playing Sly Cooper: Thieves in Time, you get the feeling that Sony desperately wants Sly to become a mascot for them, but it just isn’t happening. The Sly Cooper games just aren’t good enough and the character is just not memorable enough. 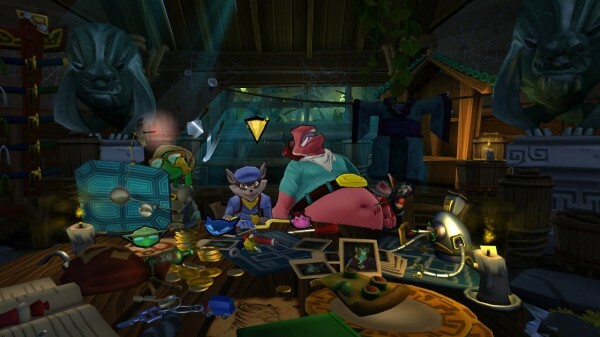 Sly Cooper: Thieves in Time is just another Sly Cooper game, it can be fun, but it is ultimately a forgettable experience that does little to try to be special or even good. It is a shallow experience that highlights a franchise in major need of a rethink.